This brochure highlights the effects of TBI-related falls, what actions to take if a fall occurs, and prevention measures. It concludes with a list of resources that readers can use to obtain further information. Falls are the leading cause of nonfatal TBI in the United States. 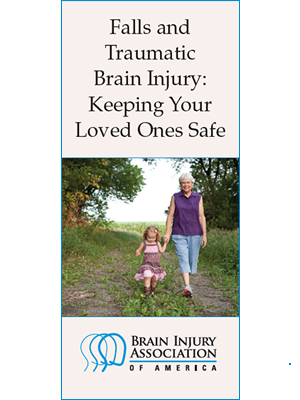 Adults aged 65 and older and young children are considered high risk groups for sustaining a traumatic brain injury (TBI) due to a fall, but everyone is at risk. The good news is that many falls can be prevented. Parents and caregivers can play a key role in protecting children, while adults can take proactive measures to reduce their own risks.